Two years after Toyota inhaled a breath of life into its luxury division, a mid-size sedan was born. As years passed and generations swapped each other, some things became crystal clear. GS was highly refined, very smooth, hushed and sublimely comfortable sedan, which in the same time managed to produce close to no emotions when looked upon and induce trivial driving pleasures when confronted with curvy roads. Still, something suddenly and seriously changed. It is the first time that Lexus pulled it completely right with GS and wicked word whispered that Japanese are preparing to pull the plug on it. Despite it is theoretically one of best segment’s offer, sales never reached the desired momentum which according to the rumor is the main reason for the end of its story. On the opposite side, completely numb and dull to drive, placed on plain FWD Camry platform, occupying the same segment but half as lavish, ES manages to reach triple or quadruple GS’s annual sales figures and supposedly that things is set to follow through for both of them. ES undercuts majority of rivals by almost ten grand in price, but going cheap (for a reason) for hunting sales is not something that premium label should brag about, so let’s hope that mentioned rumor simply remain as one, forever! DASH OF HOPE OR NOT? 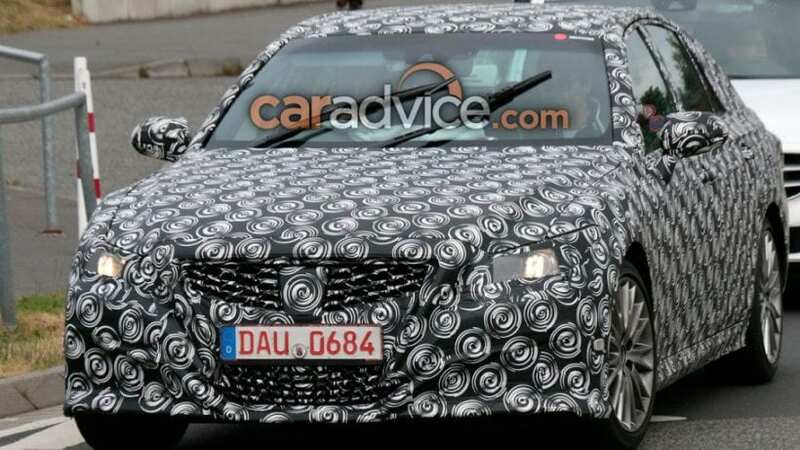 Set of spy shots are circling around the web depicting masked Lexus’s mid-size sedan, the question is, which one? Current GS and ES are an only year apart with their debut’s dates and theoretically, masked mule could arrive as a replacement for any of them. The prototype is caught testing on Nurburgring which raise a level of hope since completely “driving uninspired” ES doesn’t belong there by its very nature (although newest Camry succeeds in brushing off the same image). Plus to that, a new set of spy shots appeared allegedly depicting new ES tested in US’s desert with shape seeming as obvious evolution of current one. 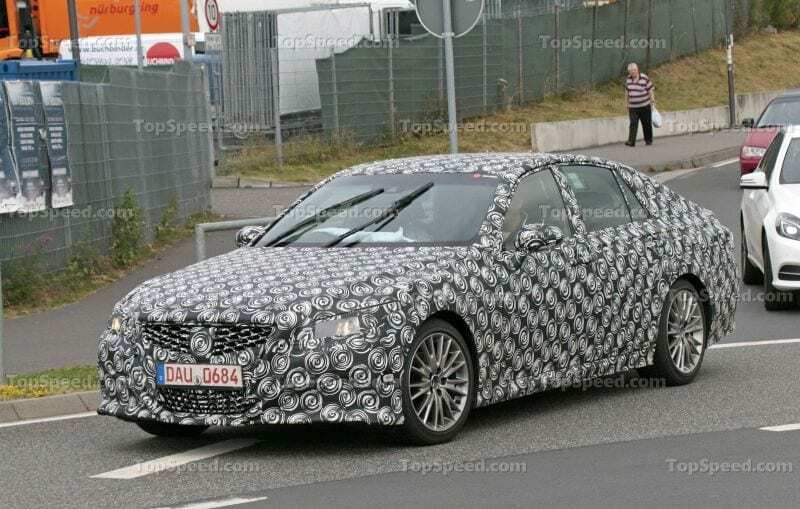 This might draw a conclusion that new 2019 Lexus GS is indeed undergoing some testing in Germany, but a closer look at the photos rise abundance of suspicious thoughts. Unfortunately, the car in question could better pose as a replacement for Toyota’s Mark X, mid-size sedan model sold in Japan. Take a look at that shape of the grille, head lights, and whole body, as all just support that thought. If that could be indeed a new GS, future would represent a huge deterioration of its current visual statement. All current styling madness is absent on masked specimen, including famous spindle grille, while those desert spy shots of upcoming ES reveal that grille’s berserk approach is still there, so one more thing to set things clear. Finally, one glimpse of the side profile leaves little hope that we are on GS’s subject. Test mule is smaller, its tail is much bulkier and higher, while the shape of glasshouse has nothing in common with current Lexus’s model. Further more, C-pillar is incredibly thicker while also missing that stylistic swerve of window’s outline next to it. If Lexus doesn’t plan to seriously hurt GS’s visual appeal, which we hardly doubt, we have nothing left than to put our money on that Japanese market’s sedan. Anyway, throwing a look at current Mark X and then one at spy photos clear all doubts. Sadly… We will cling till the bare end with the thought that 2019 Lexus GS is an actually plausible outcome, we just don’t have any positive facts to boost our morale in the meantime.